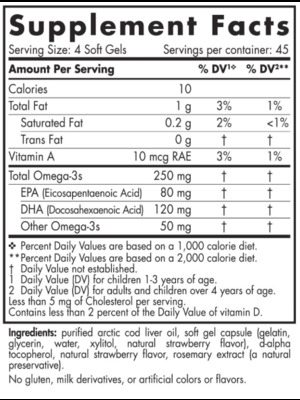 CODDLE YOUR KIDDO - It's estimated that only 1% of kids get fish oil regularly. 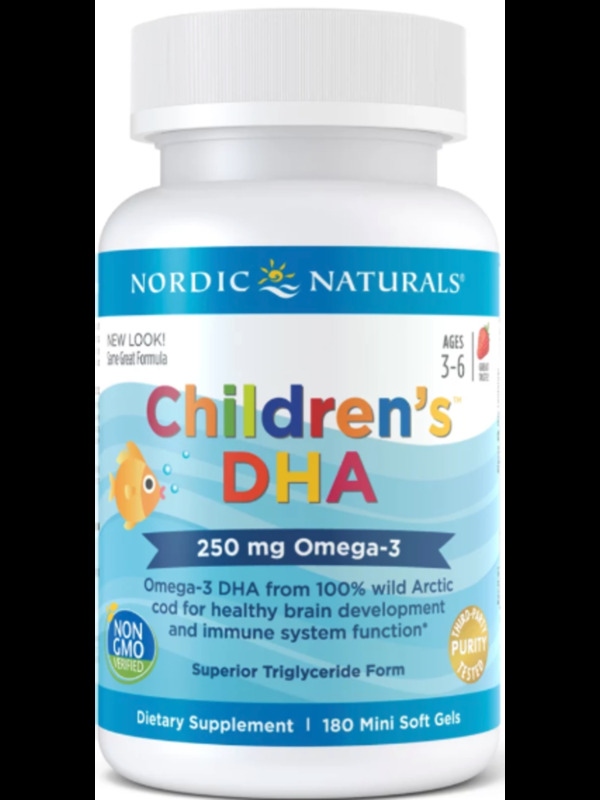 Make sure your child is getting enough of this important nutrient during peak development years of cognitive growth with Nordic Naturals Children's DHA. 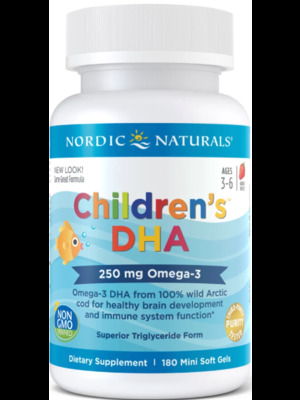 Made exclusively from our Gold Standard Arctic Cod Liver Oil, Children's DHA is rich in the omega-3 essential fatty acid DHA, which supports learning and cognitive development*. Our soft gels are easy to swallow and soft enough to chew. 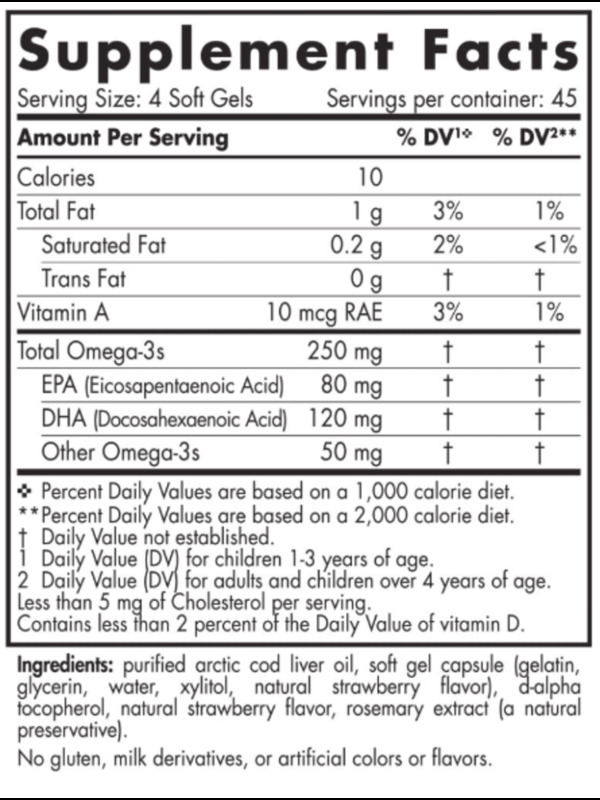 BEST ABSORPTION AND FLAVOR - Our fish oil concentrates come in the triglyceride molecular form, which is naturally found in fish and the form your body most easily absorbs. 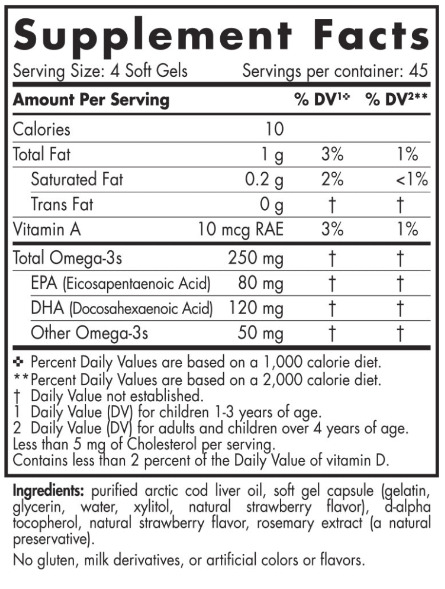 Unlike other brands that use a synthetic fat in ethyl ester, our triglyceride formula ensures optimal absorption. Your kids will also love the natural strawberry taste! Nordic Naturals is a leader in freshness using natural essence in our patented flavoring process. No fishy smell, or aftertaste. 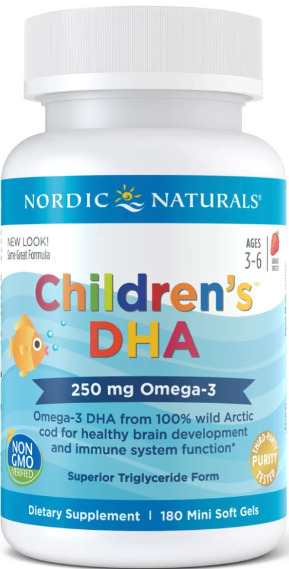 QUALITY TESTED, NO ARTIFICIAL INGREDIENTS - Nordic Naturals Children's DHA is third-party tested and surpasses strict international standards and our patented nitrogen processing ensures for purity and freshness. You can feel confident your child is getting high quality nutrition. Testing also ensures they are free of harmful heavy metals and toxins. Our products have no artificial colors flavors or preservatives. They are non GMO verified, gluten free, and milk derivative free.